I feel like expressing a sigh of sadness as I write this review. Needless to say I expected big things from this book, especially from someone as well established as J.K. Rowling behind it, but I’m sorry to say it let me down. Big time. Although I think it had the foundations to be a good book, I feel it lacked in places and was dragged out way too much before getting to a final conclusion. 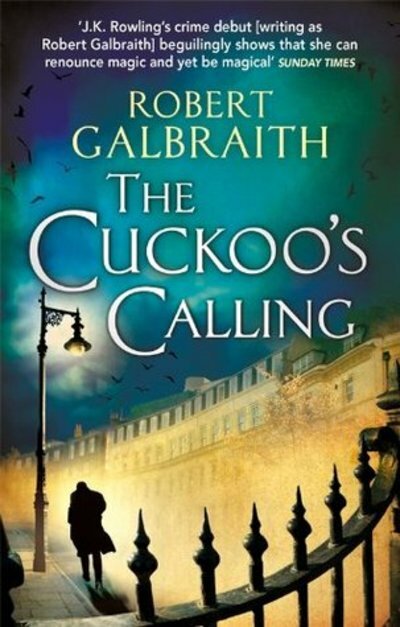 Cormoran Strike is a private detective who has been hired to investigate the suspicious circumstances surrounding the death of troubled model, Lula Landry. He is hired by the star's brother, who from the beginning seems a suspicious character. Strike goes down the usual routes in trying to establish the truth before finally learning the truth after what seems like a lifetime after the start of the book. That is basically the story. If it sounds all too familiar, it is maybe because it is as clichéd as any other run of the mill crime thriller you’ve read. The story was predictable, boring and has been done so many times before. It was the same as every detective crime story that has ever been published and that is why I am so disappointed that this is all Rowling could come up with. I suppose I shouldn’t compare it with the magical story that is Harry Potter. I would never expect her to be able to come up with another classic like that but I just wonder where her fabulous story telling ability has escaped to. I think it's back to the drawing board for J.K. Rowling after this disaster. How do you promote your Hubgarden articles?